A random employee drug test is relatively common in safety-sensitive industries. Random drug testing is legal in the majority of states, thought the policies may vary from company to company, or location to location. Every FastMed location can conduct an employee drug test. We have labs in-house to deliver reliable test results fast and have drug testing facilities across NC and AZ, so you can always find an Urgent Care near you. There are certain industries where an employee drug test is federally mandated. This list includes pilots, air traffic controllers and other members of the aviation industry, truck drivers, railway engineers and other transportation workers, military and civil employees working for the Department of Defense. Do I have to take a random employee drug test? Normally if your employer does random employment drug screening, you will be asked to read and sign a policy stating that you will participate in the testing. If you have signed that policy and refuse an employee drug test, depending on your company, it could cost you your job. What kind of employee drug tests are done? 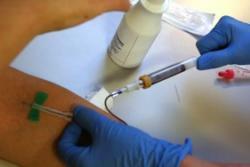 Blood Test: Employee drug screenings are conducted by drawing and testing blood for its drug and alcohol content. Blood tests will show substance use for the previous one or two days. Breath Alcohol Test: This is a Breathalyzer– performed by the police for driving under the influence. The employee blows into the device and a blood alcohol concentration (BAC) is measured. The legal BAC for driving is .08, the Department of Transportation (DOT) considers .04 BAC to take a driver off the road. Hair Test: Evidence of drug use remains in the hair much longer than in the blood. Hair drug test results show cocaine, marijuana, opiates, methamphetamine, and phencyclidine use. If the employee has a drug history, it will be chronicled in the length of his or her hair, usually for past 90 days. FastMed Urgent Care is open for an employee drug test 365 days a year – no appointment necessary. We also conduct physicals, including physicals for the DOT, and have a set of occupational health services to help your company manage workman comp cases, injuries and substance abuse testing.